Mining is important, but you also need to pay attention to protect your home from thieves. 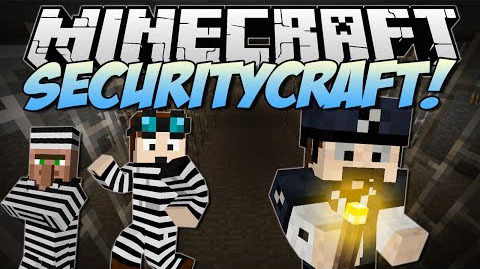 If you need a mod that helps to make your Minecraft world more secure, SecurityCraft Mod is really a perfect choice. It adds exactly security devices – what the name suggests, such as keypads, retinal scanners, lasers, unbreakable doors and more. 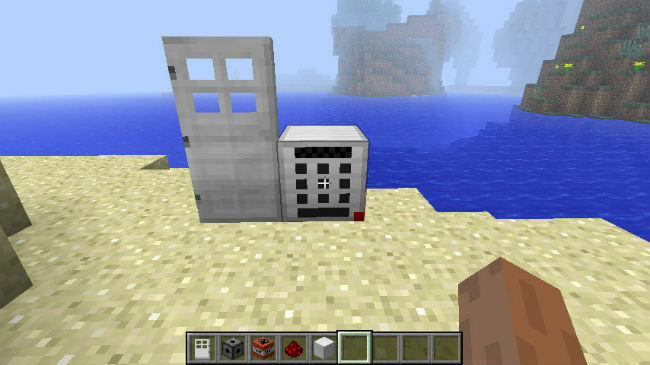 Firstly, the mod provides you electronic keypads and news ways to keep the doors closed. 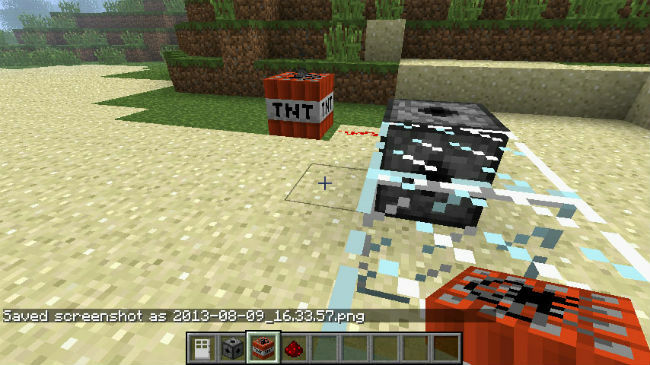 Before, you have to waste a lot of time and resources to create a Redstone lock, however, it can be destroyed easily by a TNT cannon or other exploits. Now, you have the option to set up passwords and key-codes to gain access through doors which are unbreakable, except by the owner. In addition, the SecurityCraft Mod also has a variety of items which help to prevent thieves from breaking into your home or vault. 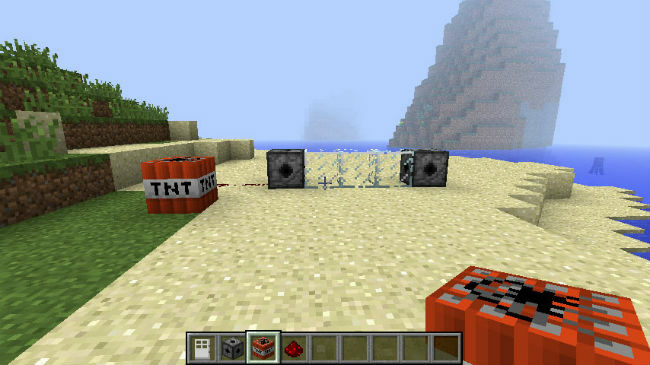 By placing two tripwires within 5 blocks of each other, you can create a laser tripwires that can be attached to a TNT trap for a huge blast. 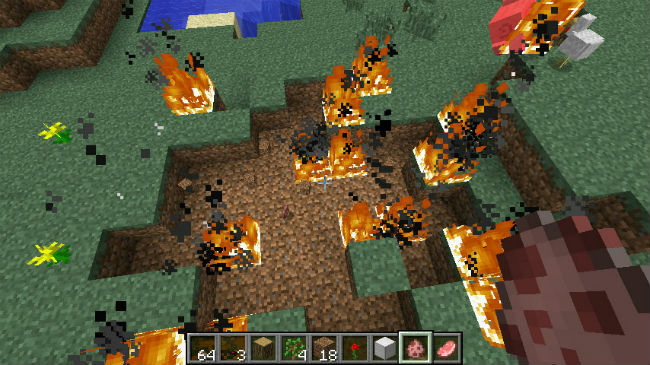 Or you can place mines in a grassy area, around an enemy player’s base, on any flat to yield a huge explosion, killing any entity that walks on a mine except for creepers and cats. Moreover, there are reverse lava and water. The lava has burning animations and sounds like it’s hurting you, but will deal no damage, while the water is instant death. When you place two laser tripwire blocks within 5 blocks of each other with no blocks in-between, it spawns a laser between the two blocks, and when you walk through it, the two source blocks give out redstone power. 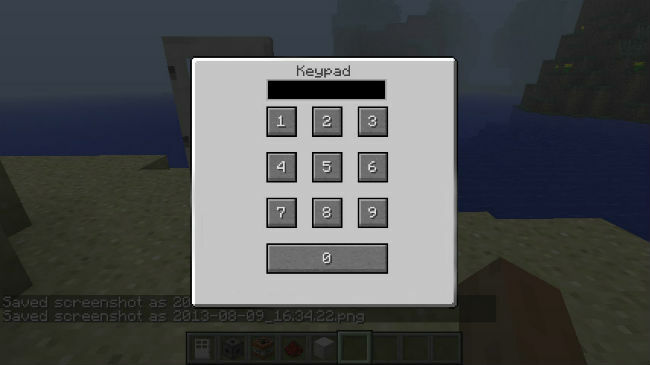 When you place the keypad block, the first time you right-click it, it opens a setup screen which allows you to setup your passcode for that specific keypad. After you hit that button/ right-click the block after that first time, it allows you to enter your passcode. Once you type it in correctly, it closes the GUI and gives out redstone power for 3 seconds. automaticaly get blown up. You can not place the mine on flowers, cactus, glass, or air. When you right-click a keypad with the codebreaker, it automaticaly cracks the code for you. 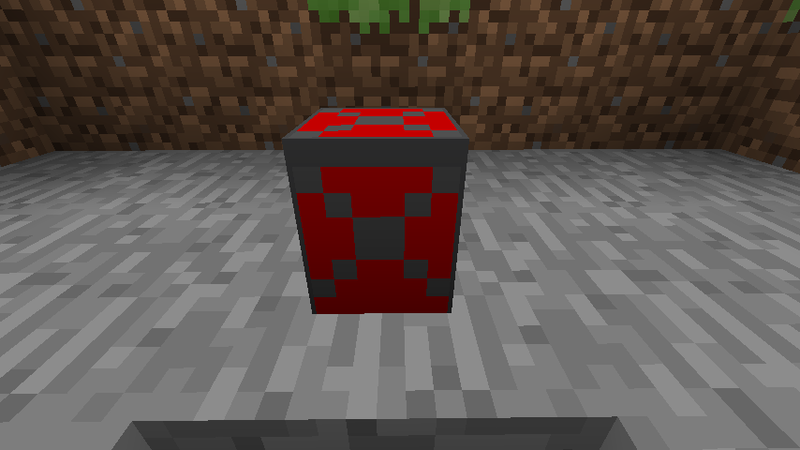 These act like the standard mines, except they look exactly like normal blocks for easy camoflaging. They act the same as standard iron doors, except they are unbreakable! Ever made a huge obsidian bunker, and thought, “WOW! No one can break in to this!”. Then the next time you come back to it, the doors broken, and everything is gone. This will stop that from happening! Plop down these guys, and only the player who places it can break it using the door remover. Right-clicking on a reinforced door will destroy it, ONLY if your username matches the username of the player who placed the door you right-clicked on. They both do the opposite of they are supposed to do! You can be completely submerged in the lava, and you wont die. But so much as touching the water will pretty much instantly kill you…. This is a variation of the mine which will bounce up and explode when you step on it. 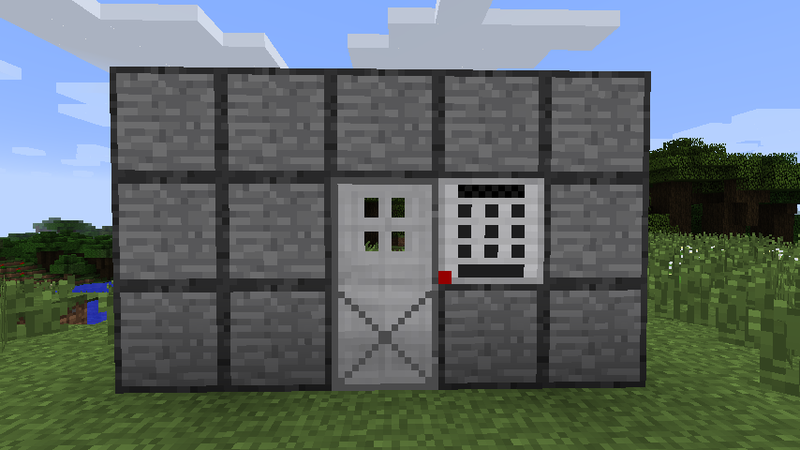 This is the same as a standard trapdoor, except the only way you can open it is with redstone power. 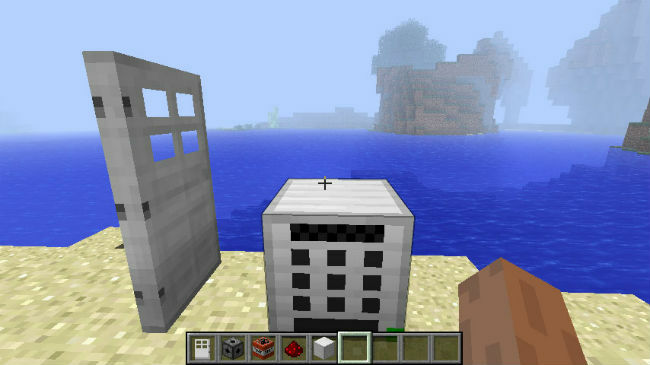 The keycard reader will only provide redstone power when you right-click it with a keycard with a level higher then or equal to the level you selected in the keycard reader’s GUI. This type of mine explodes when a minecart passes over them. This radar, when placed, will send the owner of the radar chat messages whenever another player comes within the radar’s detection radius (default: 50 blocks, configurable). Whenever a player steps on the block, it will spawn a cage made of reinforced iron bars (see below) around the player. This block is the same as standard iron bars, except it is unbreakable. When you place two scanners a block apart from each other, a field will spawn between them, kinda like the Laser Block. 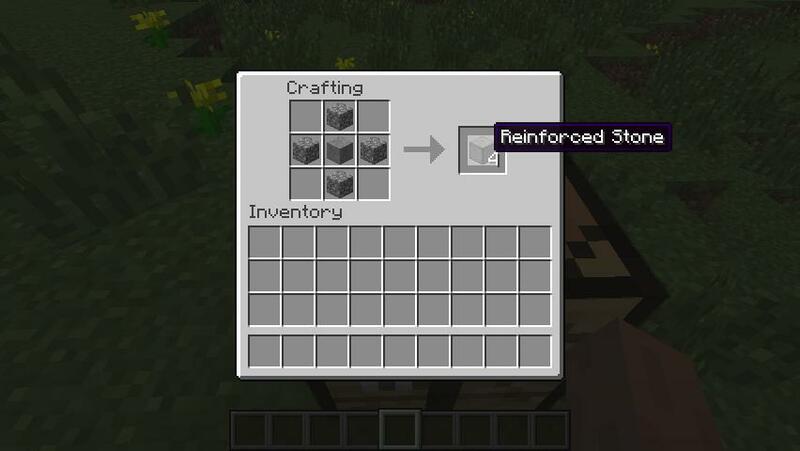 Right-clicking either of the blocks will open a GUI which will allow you to enter block/item ID’s. If a player walks inside of the field between the two blocks carrying a block/item with the same ID as any ID you entered (in the GUI), it will automatically be deleted. Even if the player trys to throw the block/item through the field, it will also be removed. In a future update, it will store those deleted items in a built-in inventory. Whenever you right-click a mine with this tool equiped, it will “bind” the mine to the tool. If you right-click while holding it, it will open a GUI which will allow you to activate, deactivate, or detonate any bound mine(s). 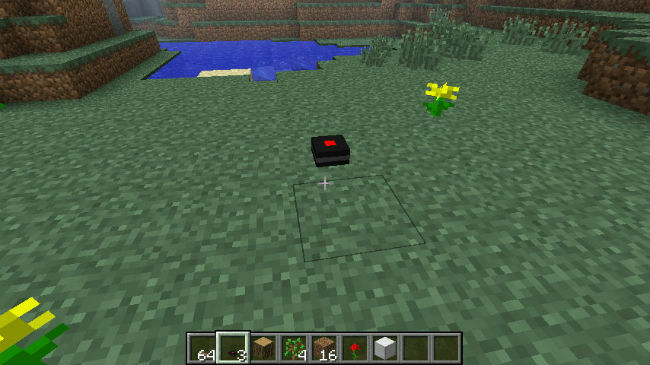 Standing directly in front of the scanner will have the block emit redstone power for three seconds, but it will only work for the player who placed the block down. This acts as a hybrid between a keypad and a chest. Right-clicking it will open a GUI similar to the keypad, but when the code is entered correctly, it will let you access a inventory, similar to the standard chest. This block will record any player(within a certain radius)’s name (default radius: 3, editable in the configuration file) in it’s GUI whenever it is powered by redstone. Reinforced stone acts the same as regular stone, except it is unbreakable. Only the person who placed it down can remove it with the universal block remover. 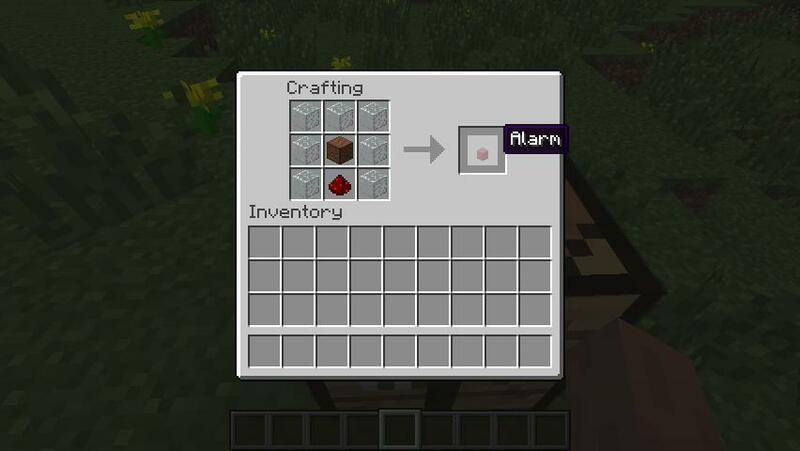 The alarm will make a siren sound every two seconds (configurable in the config file) while it is being powered by redstone. Typing “/sc recipe laserblock” will post the laser block’s recipe in the chat. Alternatively, typing “/sc help laserblock” will give you a description of the laser block.